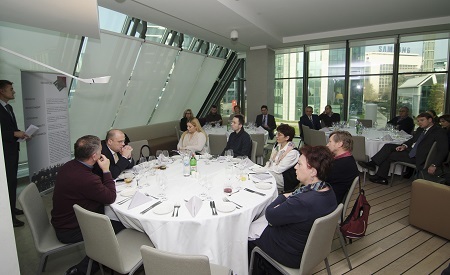 One of the biggest investors in mining industry and renewable energy sources in Serbia, British Company Mineco Limited, member of Mineco Group, organized New Year’s lunch for media representatives. During informal meetings and discussions, Mineco Limited director Bojan Popovic, presented Mineco Limited investments in the region, and plans for the future period. 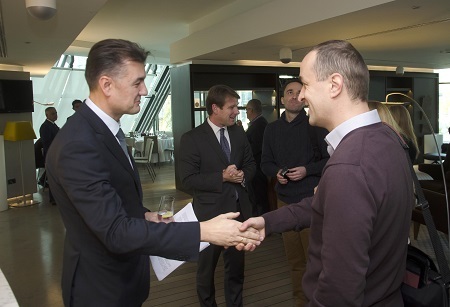 At the New Year’s lunch other Mineco Limited mining managers and partners were present, Darko Vukobratović, director of Contanga – companz managing the ROC Mine , Petar Radovićrepresentative of Veliki Majdan mine, Miodrag Vukajlović, director of Bosil-Meta Bosilegrad mine, and Sava Mandić director of Mineco Plus d.o.o. in Belgrade.